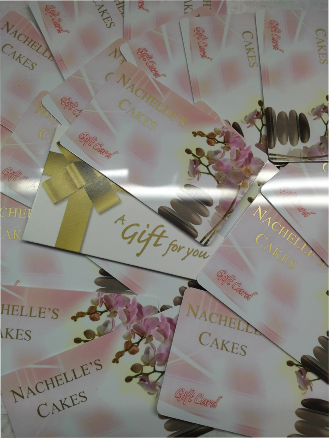 Nachelle's Cakes is a government licensed, health inspected cake shop. Welcome to Nachelle's cakes. We are a government licensed, Health inspected bake shop. Here at Nachelle's our motto is " Not only does it have to look great it has to taste great". All of our products must be pre-ordered because everything is baked fresh for you. Have a look around our site and please feel free to call us. We are always happy to answer any questions you may have. Wedding season is fast approaching. Call us at 204-254-5113 to set up your consultation. Or you can go to the Wedding cake page to fill out a form to contact us online. We are now booking for 2018/2019.wedding season. Available for purchase in shop. Great gift for your family,.friends,.co-workers and employees.